With an increasingly complex and sophisticated threat landscape, Security Assurance has become a critical component in mitigation of major breaches resulting in financial loss or reputational damage. Security LABS is able to carry out various tests and reviews to ensure existing and potential threats to your data and systems are identified and mitigated. 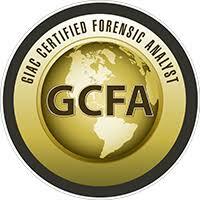 Our team are certified forensic analysts and are able to conduct formal incident investigations, and have the knowledge and skills to deal with internal and external data breaches, advanced persistent threats, and anti-forensic attacks. As more services migrate to the cloud, there is an increased need to ensure all data is secure. Provide system assurance for clients and users through comprehensive cloud based testing. A fundamental component in any cyber security testing program, managed vulnerability scanning by qualified experts identifies vulnerabilities and mis-configurations across your IT systems. Mobile Applications have become an important means of delivering a more intimate customer experience. As these applications will often have access to sensitive data it is crucial that mobile testing for vulnerabilities is carried out regularly. To test your organisation’s detection and response capabilities, our red team will simulate a malicious attack to try to access sensitive information without being detected. A red team test is not for everyone, and should ideally be used for those with an establish security program. How well does your team know IT security and understand how to deal with digital data in general? One of the biggest vulnerabilities to data security is people within the organisation who lack the proper knowledge and training when it comes to cyber security. Our security experts use the latest penetration tools to carry out authorised simulation attacks on your system to test for vulnerabilities. These vulnerabilities may occur in existing operating systems, risky end-user behaviour, application flaws and improper configurations. Incident detection and response should be pivotal part of your cyber security strategy. Our experienced and certified team can implement a system that is constantly monitoring for threats to your system day and night, with automated responses to protect and contain any breaches. The smooth and reliable operation of SCADA and ICS systems are critical in order to prevent financial loss, equipment and environmental damage, and even loss of life. Although modern systems are highly complex and based on advanced technology, they are exposed to cyber attacks due to the standardisation of communication protocols, hardware components and legacy. A code review for your existing products can help identify vulnerabilities with solutions improving performance, security, and maintenance over the product’s lifecycle. Code reviews involve assessment planning, code source scanning, a manual code source review, and a consolidated report detailing vulnerabilities, severity levels, and recommendations. If you are looking for managed security services or a consulting service to assess your cyber security needs, SecOps can offer tailor-made solutions.